FFA - Campbell Soup sponsors Islamic conference. Campbell Soup’s involvement in sponsoring an Islamic conference was uncovered at the time it was learned the company was also having the Islam Society of North America (ISNA) certify their “halal” soups for Muslim consumption. Pamela Geller, the activist who helped uncover plans to build the mosque at ground zero in New York City also reports that Campbell Soup helped sponsor the “Islam Relief Canada” conference referenced in the below online promotion. Campbell Soup was the target of controversy during the week ended October 22, 2010 after Geller's group and other concerned organizations reported that Campbell Soup was having the Islam Society of North America (ISNA) certify their “halal” soups for Muslim consumption. 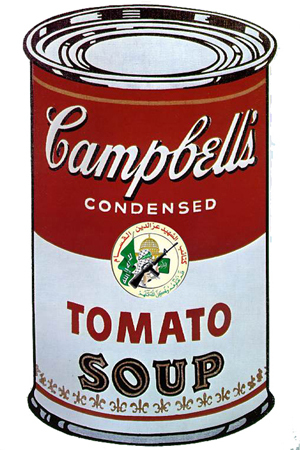 Campbell Soup’s involvement in sponsoring the Montreal conference was uncovered at that time. “Campbell Soup is joining the Islamic Society of North America (ISNA) in sponsoring the Islamic Conference in Montreal. Campbell's is lending all of its prestige and reputation to legitimize a conference permeated by the Muslim Brotherhood in association with ISNA, an organization that is nevertheless still linked to the financing of terrorist activities in the United States. The liberal media is slamming Pamela Geller and taking up the cause to defend supporters of Islam against criticism in the same ferocious manner that they have defended the homosexual agenda against legitimate objections. However, the consequences of not challenging the advancement of Islam and Sharia law in the United States will most likely to be much more severe on all citizens of America, especially Christians, Jews and Hindus. The email has been deactivated for this issue. Florida Family Association has prepared an email for you to send that challenges Campbell Soup official’s decision to support this Islamic conference.